These are some of my favourite pix, even though I'll be sharing many more on Peru as well as other places. A friend and I 'did' some of the 'must-sees' in Peru and, for example, travelled from Arequipa (a city in the Southern Coastal region of Peru just below the edge of the Altiplano, at 2380 meters above sea level and surrounded by three impressive volcanoes) to Colca. 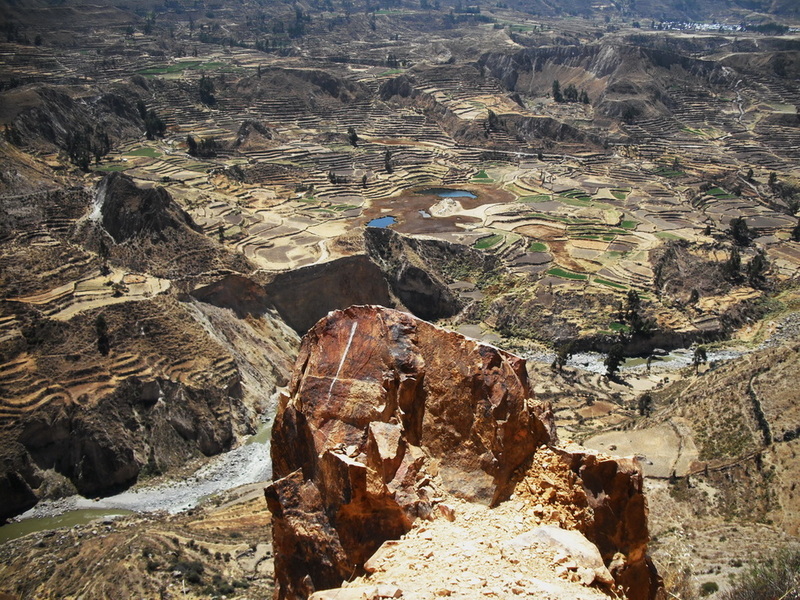 The Colca Canyon in southern Peru's Arequipa region is an area of astounding scenic beauty. Between Arequipa and Chivay one passes through a range of unique ecological zones, from desert to altiplano to dry tundra. Animals spotted enroute or in the valley itself include herds of vicuñas (a wild relative of llamas and alpacas) and a variety of birds. 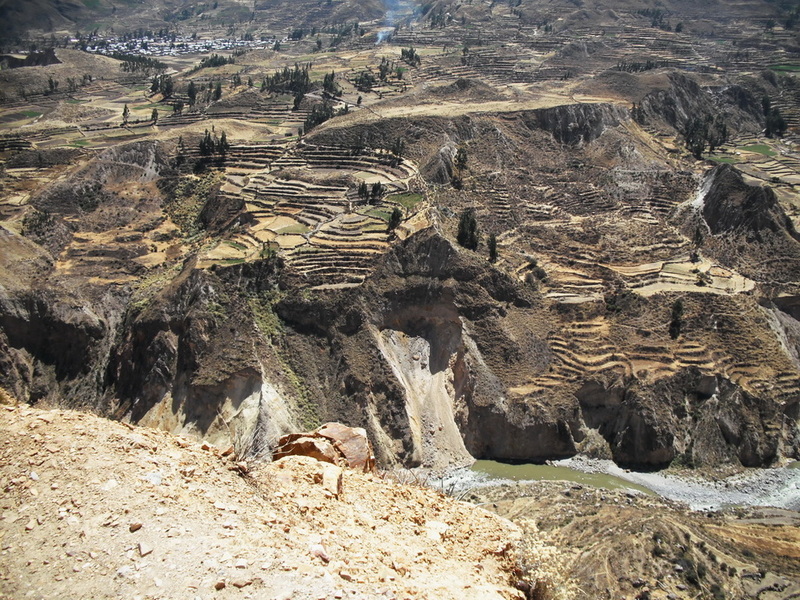 You travel across the high Andean plateau, reaching a high point of 4800 meters (15,800'). On the way you will see several volcanoes which reach more than 6,000 meters (20,600').